February 23 is a very special day for us – our web-site celebrates 10 years jubilee! Since then, many interesting events happened, and thanks to your trust and support our site is still living and prospering! We thank both our long-time visitors for consistency and new visitors for discovering our site! 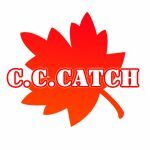 In fact, our site was one of the first sites about CCCATCH and it has always been one of the favorites for CCCATCH fans. Many pictures and facts that surprised even disco connoisseurs, rare and interesting. Some people not only came to know some interesting facts about CCCATCH, but also got acquainted with her personally. The Autoradio. Disco 80. 3D-Revolution was accomplished! CCCATCH is turning 25 AGAIN! Caroline Müller, who was labelled CC Catch by Dieter Bohlen released her debut single "I Can Lose My Heart Tonight" on her birthday, July 31, 1985. This uncomplicated song immediatedly stormed to the top of the charts, you could hear this song on every corner. What a rare mix of a catchy medody and professional singing performance! The cover for the single featured the picture of a bathroom with a mystery girl standing in front of the mirror, which helped stir up even a greater interest to the song and its performer. The vinyl did not contain the real name or picture of the singer, so her identity remained a mystery for many until her next release. So, this a good occasion to remember the times when we were young, the perestroika, how it all began and how we used to live while waiting for the wind of changes! The Fall is gonna be so hot!!! The Federal Association of German Discotheques and Dance Halls (BDT) has announced preparation for the 50th DJ dance bar (the prototype of the modern dance clubs) anniversary celebration. Аренда авто на украине "компания Rental". 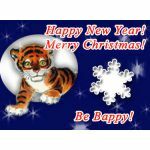 На http://www.volosi-shop.ru где купить недорогой парик в москве.